Nice Events and actions with a big impact you can also organise easily ! 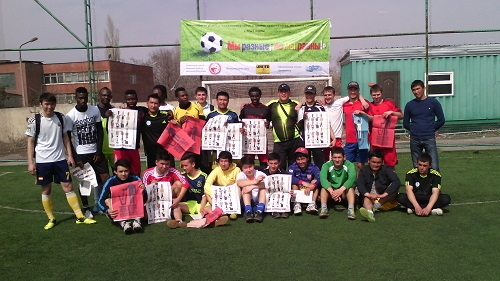 Golos Svobody (Voice of Freedom) organised a football tournament among amateurs and professionals during Action Week Against Racism. 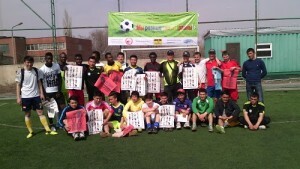 People from different ethnic backgrounds gathered to express their view using the slogan: ”We are different, but we are equal!” Five teams were competing on the field. The championship lasted for five sunny spring days. These games gathered a large number of enthusiastic football fans, who got a clear message that there should be no space for racism among football players and football fans. 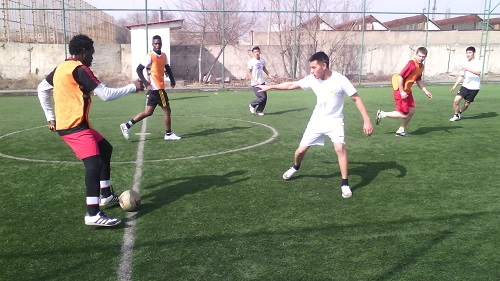 The games were played at the stadium of the Football Association of the Kyrgyz Republic in Bishkes. While the games were being played, Golos Svobody volunteers handed out leaflets and informed the audience more about racism and ways of combatting it. During the event, a social media campaign was going on and a video was made which later on was shared through different social media as well as local media. Keeping racism out of schools is a dream that we all share. 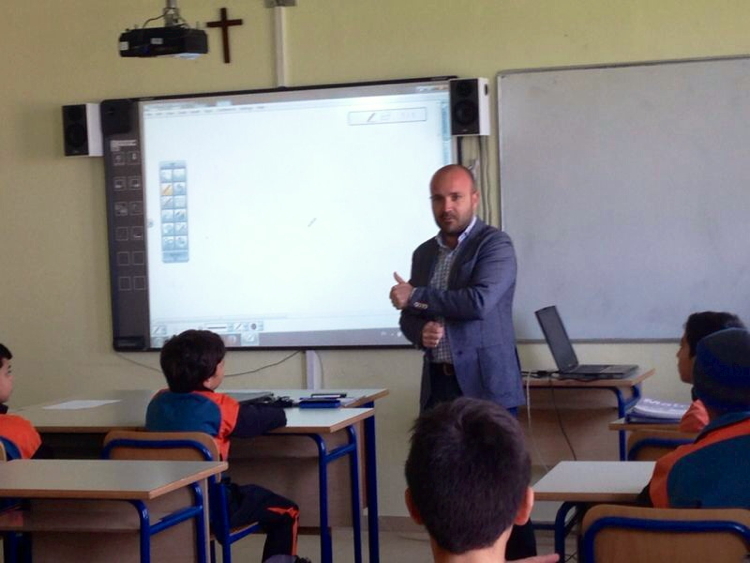 “DimitrieLeonida” Technical High School in Petrosani, Romania organised a set of interactive workshops under the name “Together Against Discrimination” in which pupils played an active part. The workshops had a very simple and easily understood concept which didn’t need much preparation work. 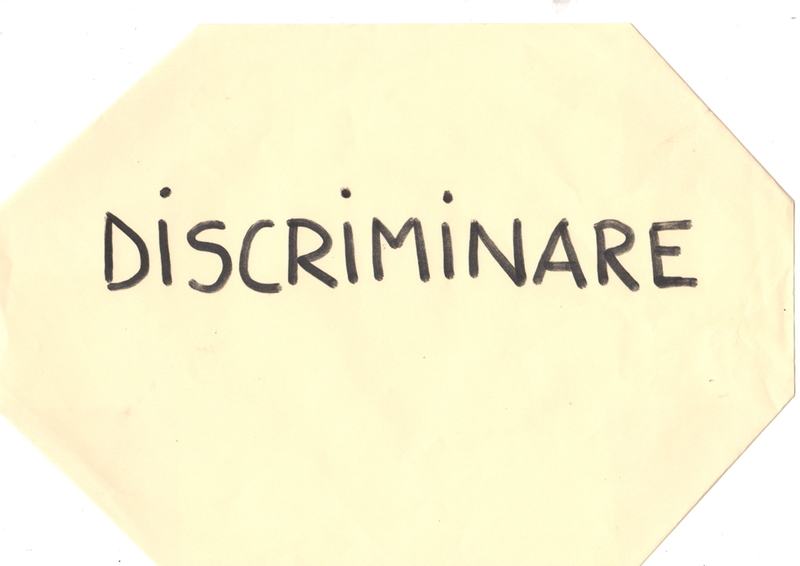 In the beginning, the organisers asked the participants to start from some given words that represented different types of discrimination. 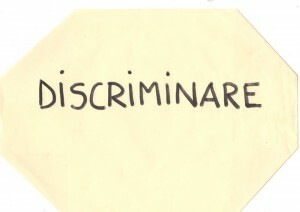 After reading the words, they had to write on a piece of paper what they knew about it and what they thought about that form of discrimination. In these workshops the discussion focused on discrimination in general, and about how Romanian people are perceived abroad in particular, and what different types of prejudices that they have to face. 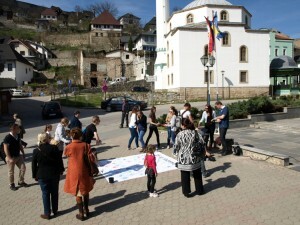 At 1 pm, a time when a lot of people can be found on the city square, they took the canvas into the city centre. 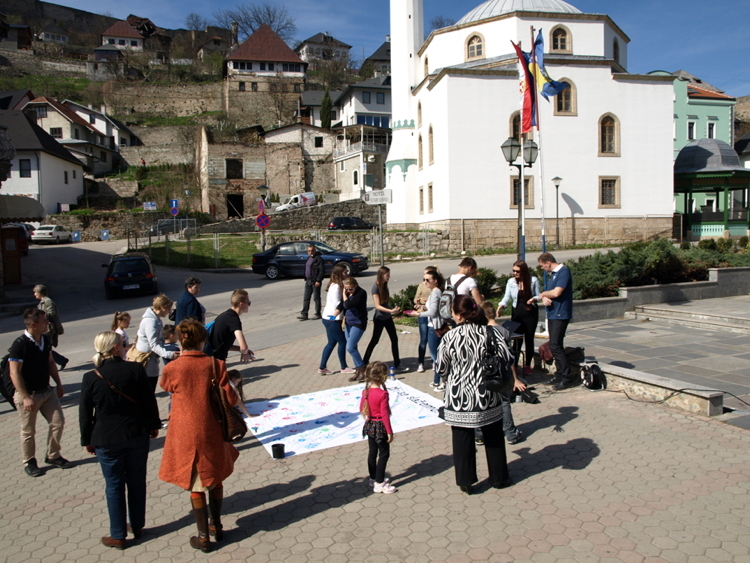 Members of the public were invited to make a mark with their hand on the canvas using different coloured paints. The action enjoyed great popularity and the banner created was presented in public spaces throughout the city. Pictures of the event were shared through social media and got a lot of attention, reaching lots of people and motivating them to join such actions. Around 18 participants aged 15-29 participated in an antiracism workshop in Bosnia. The event lasted around 2 hours in which Firefly provided a variety of activates with the intention of enabling the participants to explore the concept of racism and why it prevails in our world. It started with a simple but fun icebreaker: participants got the chance to interact with one another and move around in a circle. This helped to focus the group and provide a fun start to a serious topic. After the icebreaker activity the first task was met with focus: in small groups they were asked to write on a big sheet of paper what comes into their minds when they hear the word “racism”. Each group did this task and had the chance to hear each other’s opinion of racism, allowing them to learn from one another. It also helped the organisers to see where the gaps in their perception of racism were: the aim of the event was to fill in these gaps. The next activity was another interactive task, where the group was told a series of “racist scenarios” and were asked if they believed them to be racist or not. They stood on different sides of the room to signify yes, no or maybe. This was a great activity with lots of discussion of the statements. Some of the statements were controversial and others more clear-cut. This helped the group to see the different layers of racism, and that it’s not just black and white. They were able to debate amongst themselves. Being a varied group, there was a mix of diverse opinions. The final activity was a short play that had been put together by five participants before the event. This was a short play about how racism causes separation amongst humankind, and the ending is left open so that the audience can discuss possible solutions to the issues of separation and prejudice. This discussion was not as bright as the previous: maybe the play did not ask enough questions to the audience or they were not in the mood for more discussion. The event ended with filling in a heart-shaped puzzle with notes, drawing and intentions. This idea was to allow each participant to express their personal position against racism (a simple action they will take to stand up against racism). Each participant made a comment and identified an action they would take, this was a really nice ending to the event as it left the participants and organisers with a feeling of hope and strength: we can make changes to this world – even small steps can make a difference. It was great to see the participants so eager to write their actions in the heart of togetherness. Organisers were really pleased with how the event went, as a good number of participants came and it was full of discussion and learning. The organisers also learnt a lot themselves about how they perceive racism and how to respond to it. For such events in the future, they would make the event longer and allow for longer breaks in between activates to give the group time to reflect more and help their energy to last longer. They would also like to use more role-play activities, as well as games that bring the group together to create something as a whole. Praxis student-volunteers interviewed various groups of citizens on a daily basis, specifically other students, buyers of Liceulice magazines, Praxis’ clients, employees in various institutions, etc. The interviewees were asked for their perspective on racism. The messages collected in this way were written on campaign postcards and were distributed to various relevant institutions, specifically to mainstream printed media, sport associations, the Commissioner for Protection of Equality, the Office for Human and Minority Rights and the Ombudsperson. 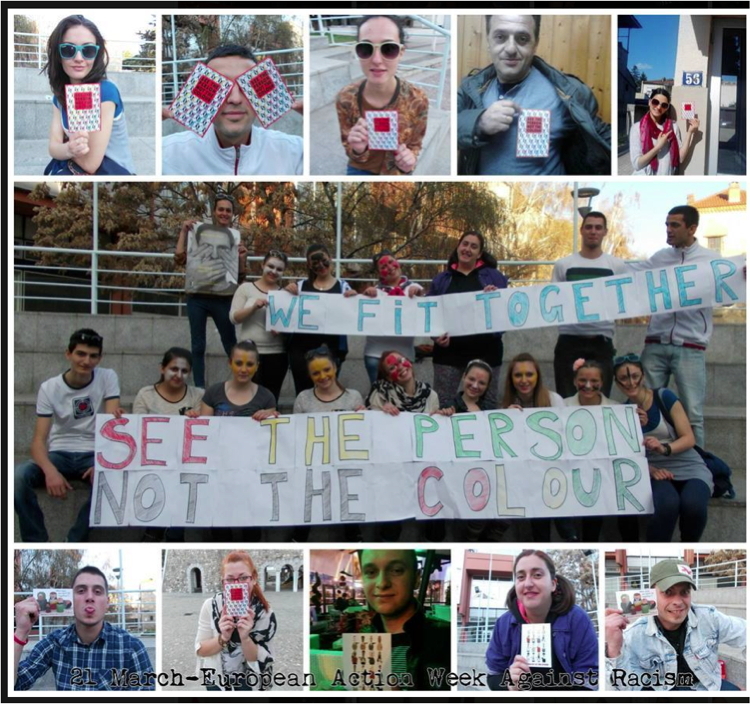 Furthermore, Praxis and Liceulice posted the photos and messages against racism on their social media pages. In addition they were regularly informing followers about the activities. 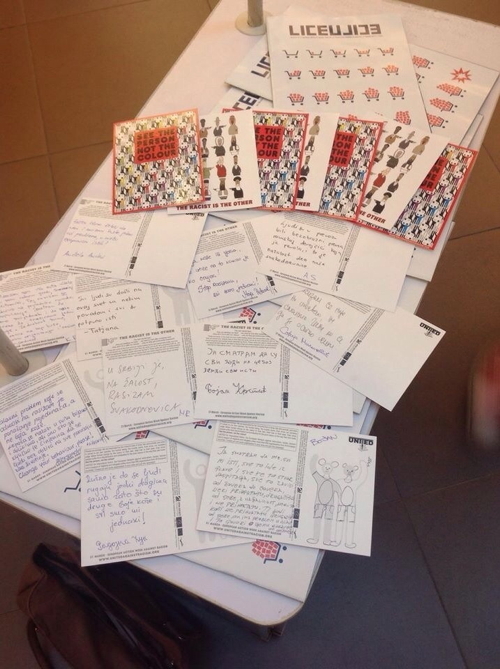 The collected messages were posted on various social media pages in order to spread the message. Later on in the evening of 21st March, in cooperation with the IPAK Centre, a graffiti action was organised. 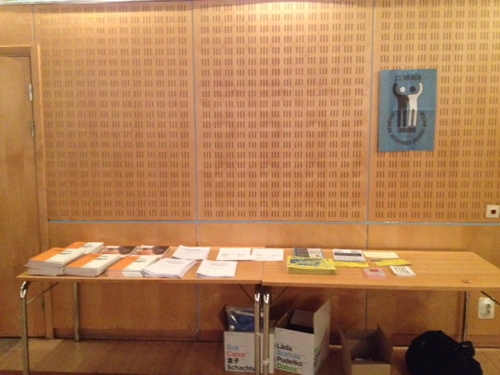 The campaign contributed to raising awareness among the public about the necessity of prevention of racial discrimination. It turned out that some of the interviewees were not even familiar with the very meaning of the term. In that sense, the campaign was very helpful in terms of raising their awareness of the necessity to stop racism against the minority population. Public transportation, which in Malta means the national bus system, is an obvious place for discriminatory behaviour in Malta. Refugees complain often about their treatment as bus riders, both by drivers and their fellow passengers. This ranges from drivers simply passing bus stops when they see refugees waiting, to passengers avoiding the seats beside refugees, to verbal abuse. Taking this case as a situation on how to see and prevent racism, pupils at a local school in Malta participated in a workshop. The workshop began with a discussion between the teacher and her pupils, followed by a roleplaying activity, as well as a writing exercise in which the students were asked to explore the discriminatory behaviour from the perspective of either the refugee, the driver, or a passenger. This led students to think critically about the discrimination various groups face in Maltase society. For 21 March, youngsters from KRIK Youth Centre made a flashmob in the city centre of Skopje with an antiracist theme. The flashmob needed a few days of preparation. Volunteers chose this year’s campaign theme “We fit together” and decided to share the message through body language with a few simple moves. The flashmob took place at the time of day when most people were present in the city centre, so that it would have the maximum impact. A video was made of the activity and in the evening of 21st March in a local pub, a party with an antiracist message was organised. The gathering of activists after the action at the party was of significant importance: there was an appreciation of their work and effort, and they also invited more people to see the video, so that even more people got involved. 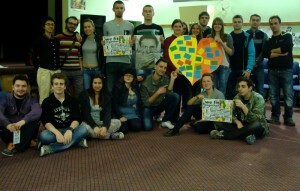 A group of volunteers from INEX attended a workshop on how to do street campaigning. 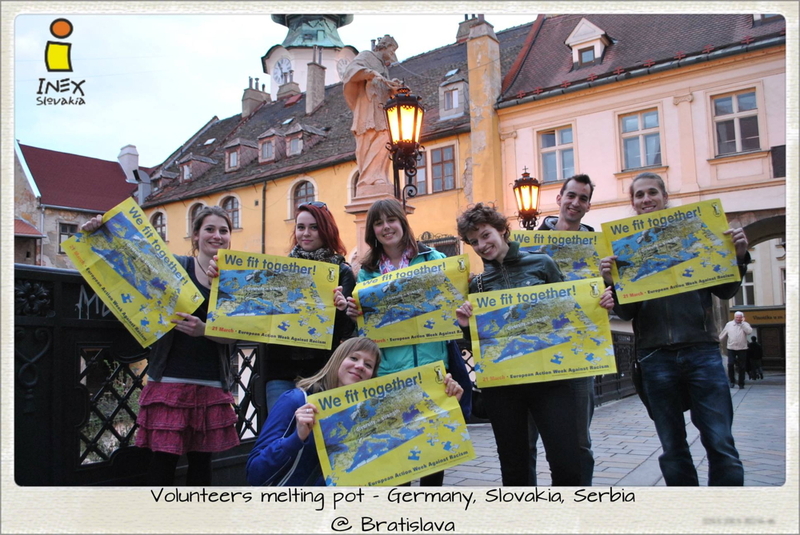 Later on they went around Bratislava with campaign posters in their hands and invited members of the public to join the campaign, promoting the importance of the Anti Racism Week. 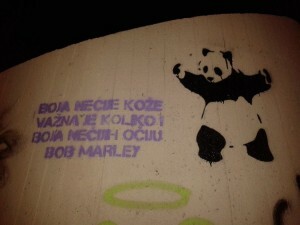 People were approached in the street, information was provided and photographs were taken. The pictures were shared through social media, and lots of comments and questions followed about what the action was about. Volunteers also promoted the Action Week Against Racism in their daily activities by organising dedicated sessions about the campaign. 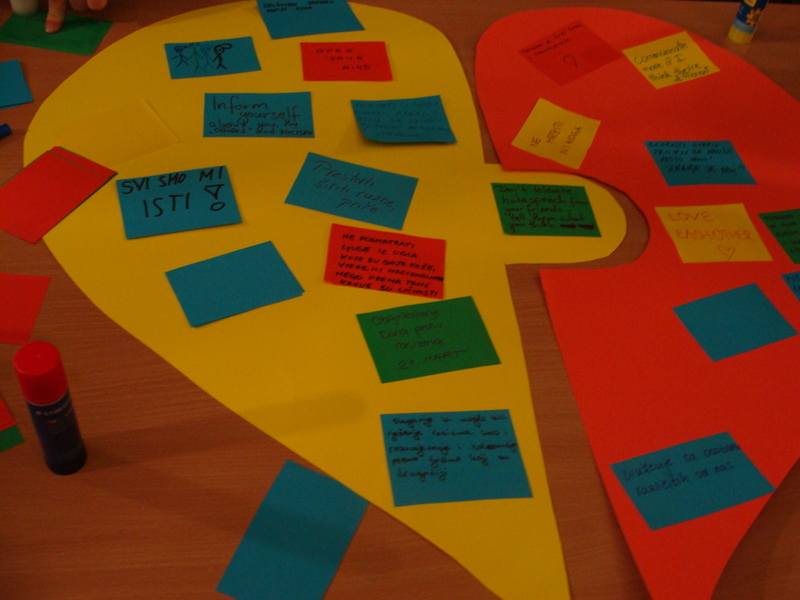 During the evaluation of the action, volunteers highlighted that for organisations that want to do this activity, the most difficult aspect is approaching people and sharing the message with them. A networking day on 21st March brought people from different socio-cultural organisations together. Research was conducted among the organisations on the topics of migration and stereotypes of migrants and their representation online. 120 organisations (whose websites were screened) were contacted either via phone or mail. The researchers posed questions such as: to what extent and how people from a migration background are portrayed on the homepage? Are they were shown in a (non)stereotypical way? What topics were the images illustrating? Were the people depicted also interviewed? etc. Organisations were encouraged to share their experience and best practices where created. During the networking day, there was also a visit to an exhibition about the image of the “other” in religious art. This exhibition showed that in the past, the other – Muslims, atheists, Jews, black people, heretics… – were often portrayed in sculpture, painting, etc. as a way of propagating negative stereotypes of those groups. Later on, the results of the research on the homepages were presented. 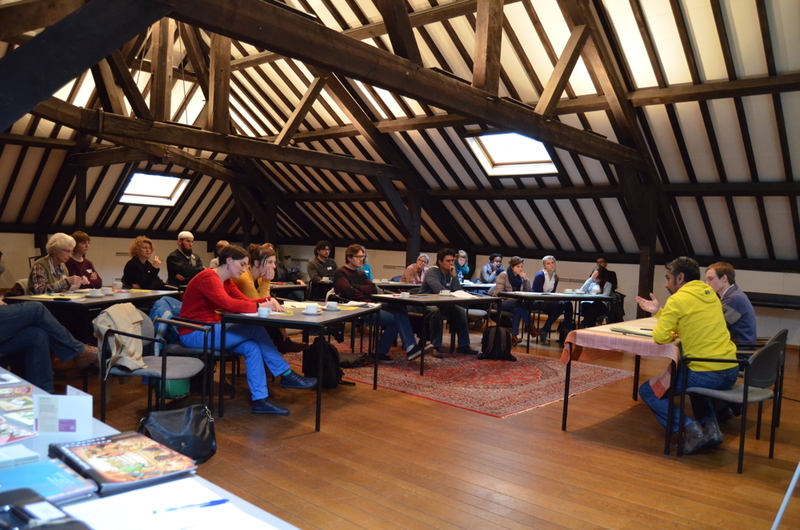 At the same time, during three workshops, the participants could exchange good practices about inclusive narratives and ask suggestions about how they can diversify the images they put on their products or websites, or how to reach more people with a migration background for their activities. This event showed that there is a way to involve politicians and ask them to discuss the issues of racism in society. An important element of making this event productive was the sharing of the outcomes of the meeting through social media, making it highly visible.